As a child, my efforts to print a T-shirt for my brother for his birthday was traumatising. Being a 12-year-old girl with high hopes, I had been thoroughly told off by a shopkeeper that a design I wanted to do was just impossible, and that I would have to meet a minimum order of 100 pieces. While I eventually found an affordable business to patronise, I learnt an important lesson about the T-shirt printing business that day: there is a structure that it operates in, and nothing moves it. Printers work with distributors, who then work with manufacturers, creating a whole food chain within the T-shirt printing industry. The market is also saturated, which means that quality control for a lone buyer is difficult. Perhaps it’s time the industry had a bit of a jolt. 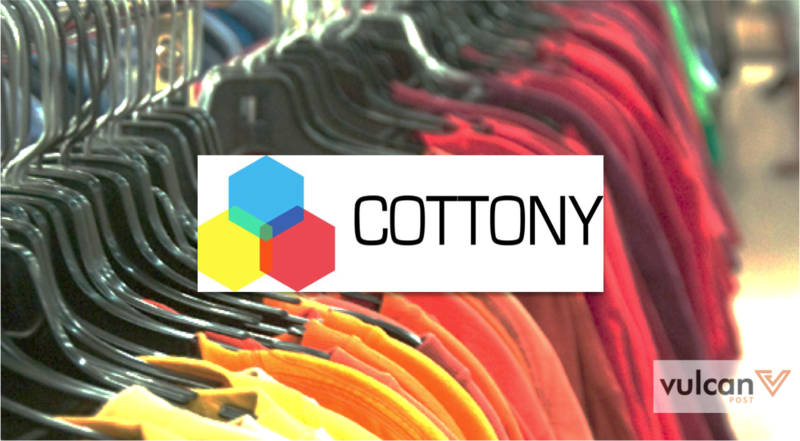 Cottony, a homegrown business here in Singapore, has brought this business online, making the entire process much more customisable and quick by integrating all tiers of the T-shirt business into a single company. 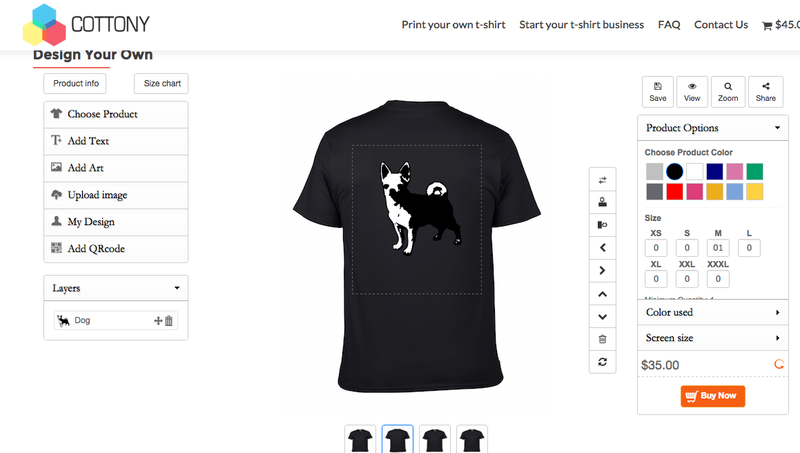 The front-end business is completely digital: users can use the T-shirt customisation tool to design your own shirts with a large range of fonts and colours, add images and QR codes, and even upload your own T-shirt designs. With each added element, the website will update you on the price with complete transparency, and payment is made instantly via the company’s partnership with Paypal. According to founder David Lok, Cottony’s competitors still rely on bank transfers, which can make the process clunky and tiresome. The shirt will then be sent — on the same day, if you pay a $5 same-day delivery charge. The website also supports businesses looking to sell their own shirts and designs. Munirah, a locally-based artist who sells her designs on her Etsy store Satsuma Orange, uses Cottony to print her designs on T-shirts and tote bags to sell to customers. Munirah’s watercolour designs are further complemented by the special method of printing Cottony uses called Direct-t0-Garment, which uses water-based inks that make the printing adhere to the fabric better and last longer. 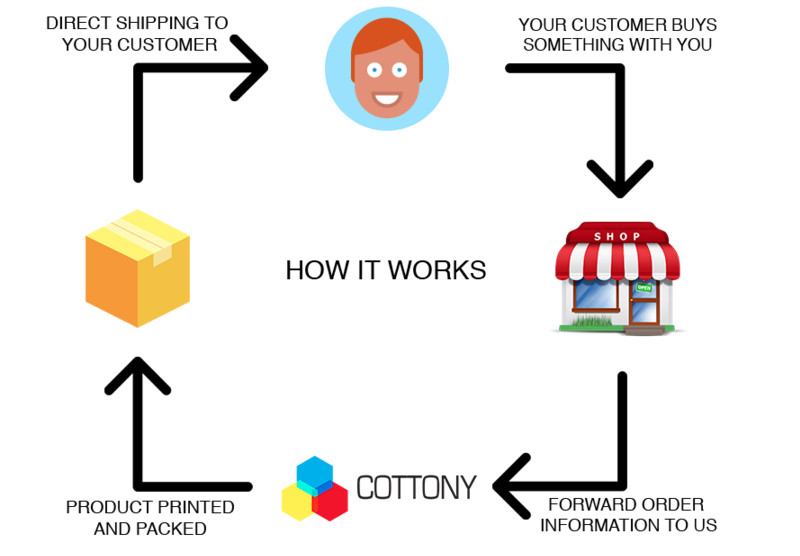 The process behind the scenes looks something like this: once someone makes an order on Munirah’s Etsy store, she will notify Cottony, which will instantly print the shirts needed. The shirts/bags will then be shipped directly to Munirah’s customers. There is no inventory held for Munirah, and she gets to focus on her artwork. Meanwhile, she gets wholesale pricing. According to her Etsy store, each shirt printed with Cottony is sold for around $20 while a tote bag is sold for $25, much cheaper than if you customised your own shirt on the same website. She recommends a week’s waiting time for her customers in Singapore. It’s a wonder why this process hasn’t been thought of sooner. The website itself is easy to navigate and to use in the T-shirt designing process. While personally designed shirts can become pretty expensive depending on what elements you choose to add, it’s a great alternative for indepenedent businesses and business owners like Munirah who are looking for a safe and reliable T-shirt printing partner. If you’re looking for a last minute Christmas present, maybe you could consider getting your loved ones a T-shirt.